What if the tourism industry planned it right? Apart from reference to easing visa restrictions and opening up roads to inspire the building of resorts, the federal government’s Northern Australia white paper of June 2015 has no tourism-specific plans. The white paper does, however, have a broad ambition for tourism – to double visitation by 2035. Such confidence in the doubling of visitation just by increasing infrastructure respresents everything that’s wrong with tourism governance in Australia – the government believes, and writes policy on the idea that ‘if we build it, they will come’. If we build the road, they will drive on it. But what if we took what we know about what tourists really want, and used the extraordinary Northern Australia infrastructure funding opportunity to build the ultimate tourism experience? What if we made Australia the ‘World’s Island Holiday’? The Australian Bureau of Statistics show that ‘Cultural and Heritage’ tourists spend 40% more than others. What if the tourism industry came together and made sure all the visitation pieces fell into place by 2035? What if we took everything that Hawaii does right in its tourism, everything that New York does right, that Paris and Niagara Falls do right with their attractions, and made a plan that didn’t just open up some roads, but gave the Asian Century tourists everything they could ever want in a holiday? 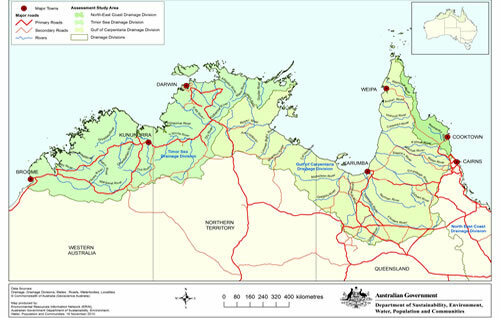 Aquaculture – generally seafood farming – has been identified as a focus of the Northern Australia white paper. Tourism industry operators on the ground now, in 2015, have the ball in their court. Before too many plans for infrastructure are set in stone, we, the tourism industry have the opportunity to shape the New World of Tourism. The Tourism News, with its parent company Australian Voice, will be making submissions to government across various aspects of investment as the Northern Australia white paper projects unfold. Amongst other things, we envision previously undercapitalised industry sectors, including Indigenous Heritage Routes, European Cultural Routes, Historic Trails, Dark Tourism and Industrial Tourism. If you would like to be involved in the initial planning stages, please email info@thetourismnews.com.au or call Veronica on 0400180001. The below is taken directly from the Northern Australia white paper ‘Business and Trade Investment’ section. The north can capitalise on its iconic locations, open spaces and clean environment to host millions of tourists every year. Reforms to visitor visa processing and infrastructure improvements could see annual international tourist numbers double, exceeding two million visitors a year by 2035. 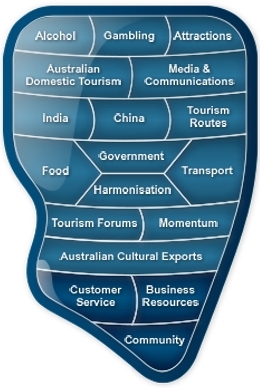 The Government’s aspirations for tourism and hospitality are: • development of a range of hotels and resorts across the north • lifting overseas tourist horizons beyond the wonders of the Great Barrier Reef and the Daintree Rainforest, to an expanded appreciation for Kakadu National Park, the Kimberley and Broome. New roads, studies of dam sites and changes to land-use laws formed major parts of the Government’s development blueprint, which is designed to make the north an “economic powerhouse”. 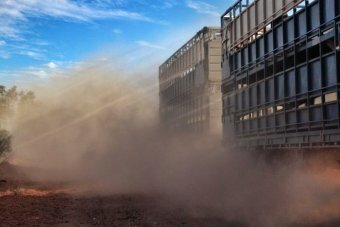 As the ABC revealed at the weekend, the Government has released a new investment pitch to some of the world’s biggest companies and will hold a major forum in November in Darwin, in the hope of attracting billions of dollars in cash from overseas. 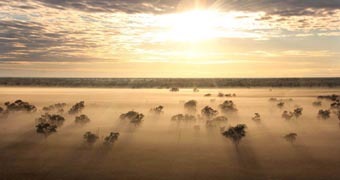 Rural industry groups have cautiously welcomed the Federal Government’s northern Australia white paper. “We will drive down the costs of operating in the north for business; making it a more attractive place to invest and work,” Tony Abbott said in a statement. “By making the right regulations and infrastructure investments, we can encourage jobs and tackle the costs of living far from major cities”. But MPs involved in developing the white paper described today’s announcement as “just a deposit”, with more policy measures to be put in place in the next few years. Federal Opposition spokesman Gary Gray was worried the white paper would be “big on vision but light on achievable measures”.